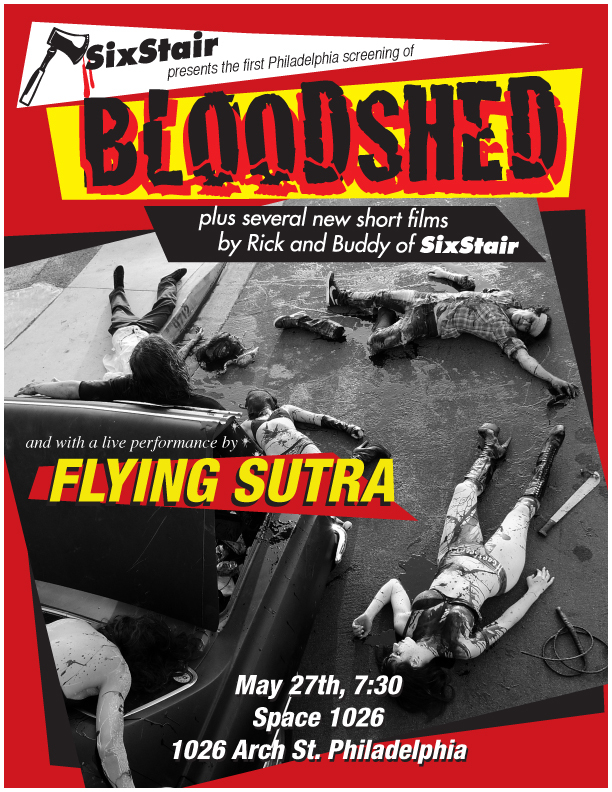 Rick and Buddy of Sixstair present their horror skateboard movie Bloodshed. Flying Sutra will be performing live after the movie. 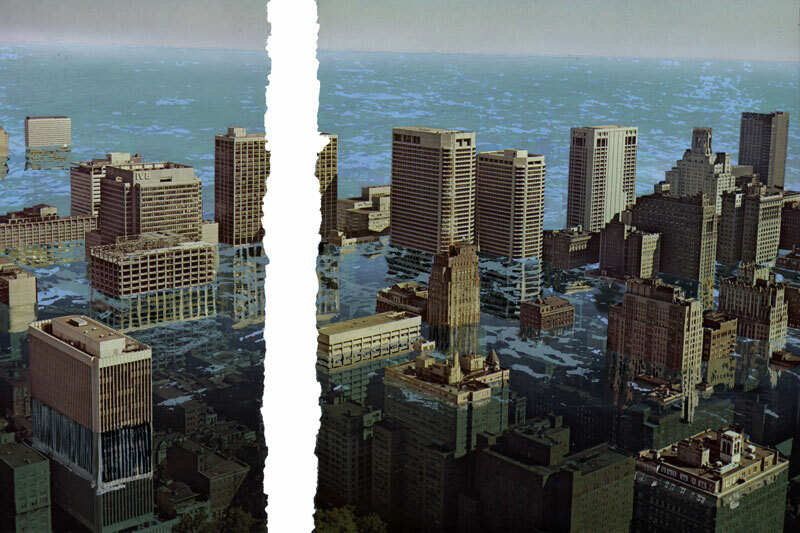 1026 arch st., 2nd fl. A night of the draggiest drag comedy ever dragged at Space 1026! Come and see girls as guys, guys as girls and ?s as ?s! 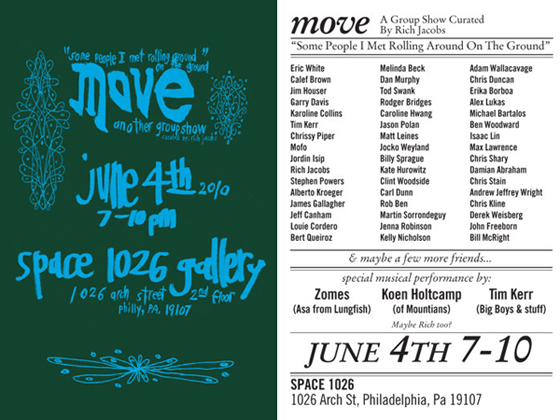 Andrew Jeffrey Wright and more! Come and be witness to the worlds newest, freshest, funkay-ist drag persona’s: Gail Stedman, Rodney, Andy Kaufman, Tinky Winky, Erica Sterman, Buddy Dreamz and more! Eric White, Calef Brown, Jim Houser, Garry Davis, Karoline Collins, Tim Kerr, Chrissy Piper, Mofo, Jordin Isip, Rich Jacobs, Stephen Powers, Alberto Kroeger, James Gallagher, Jeff Canham, Louie Cordero, Bert Queiroz, Melinda Beck, Dan Murphy, Tod Swank, Rodger Bridges, Caroline Hwang, Jason Polan, Matt Leines, Jocko Weyland, Billy Sprague, Kate Hurowitz, Clint Woodside, Carl Dunn, Rob Ben, Martin Sorrondeguy, Jenna Robinson, Kelly Nicholson, Adam Wallacavage, Chris Duncan, Erika Borboa, Alex Lukas, Michael Bartalos, Ben Woodward, Isaac Lin, Max Lawrence, Chris Shary, Damian Abraham, Chris Stain, Andrew Jeffrey Wright, Chris Kline, Derek Weisberg, John Freeborn, & maybe a few others? Staring into the Sun is the latest ethno-folk cinema classic from Sublime Frequencies. Ethiopia is known to be one of the oldest areas inhabited by humans and presently has over 80 diverse ethnic groups. 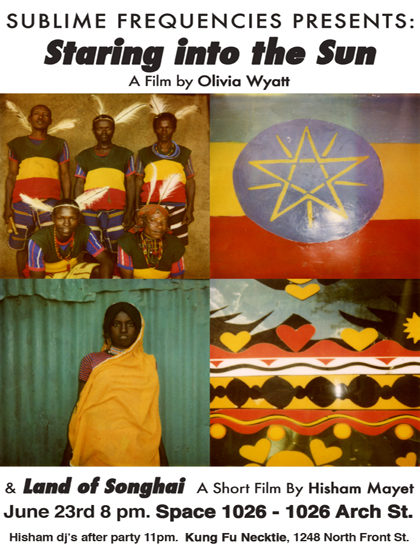 Photographer/filmmaker Olivia Wyatt explores 13 different tribes throughout Ethiopia in this visually stunning film. Traveling from the northern highlands to the lower Omo Valley, Wyatt brings together the worlds of Zar spirit possession; Hamer tribal wedding ceremonies; Borena water well polyphonic singing; wild hyena feedings; and bizarre Ethiopian TV segments; presenting an enchanting look at these ethereal images, landscapes and sounds from the horn of Africa. The tribes featured in this film are captured with an unflinching sense of realism and poetic admiration resulting in a visual and aural feast of the senses. Hisham Mayet’s latest film explores the music and landscape of the Songhai, around the Niger River in Western Niger. Zarma mock possession hoedowns, Wodaabe trance vocal performances, Spirit possession ceremonies, Godje one sting laments, contigi string masters, comsaa griots and Sahel night markets create a bizarre and fascinating glimpse into the arid and culturally vibrant bend in the Niger river. KIMYA DAWSON SHOW CANCELLED TONIGHT! Kimya Dawson and Yr Heart Breaks were on a flight that was cancelled. The show tonight is cancelled but will be rescheduled for another date this month hopefully. All advance tickets from this show will be honored. Check http://www.r5productions.com for a new date. 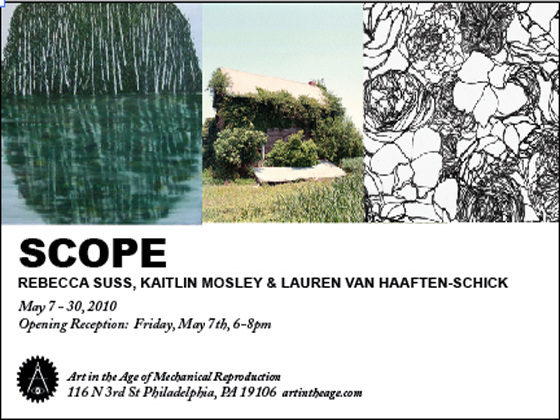 Art in the Age is pleased to announce the opening of its May exhibition, Scope, featuring new works by Kaitlin Mosley, Rebecca Suss and Lauren van Haaften-Schick. Scope investigates nature’s capacity for growth, infinity, suffocation and serenity at its edge. Through drawings, paintings and photographs frozen moments of endless processes find new meaning in landscapes as they achieve both topical and internal space. Kaitlin Mosley’s airy compositions allude to memory and personal experience; their dry and static composition renders them moments without time, filled with allusion without action. Rebecca Suss’ thick, painterly mark-making fuses the artist’s physical work with the infinite motion of the sea; both bodies are forever churning, engaged in a process which is only self-perpetuating, and without end. Lauren van Haaften-Schick’s ink drawings of dense floral growth evoke both the ecstatic chaos of growth, while the flatness of her monochromatic seascapes present the experience of viewing this void as the experience of flatness itself. Built from fine, dense marks, both bodies of work appear flat in their composition ­as a product of their density. Space 1026 is proud to announce the opening of “Étincelles,” featuring the artwork of Emi Honda, Leyla Majeri and Nadia Moss. This dynamic artistic trio currently resides in Montreal, QC, and will be showing a diverse range of work including printmaking, painting and video at Space1026 during the month of May. 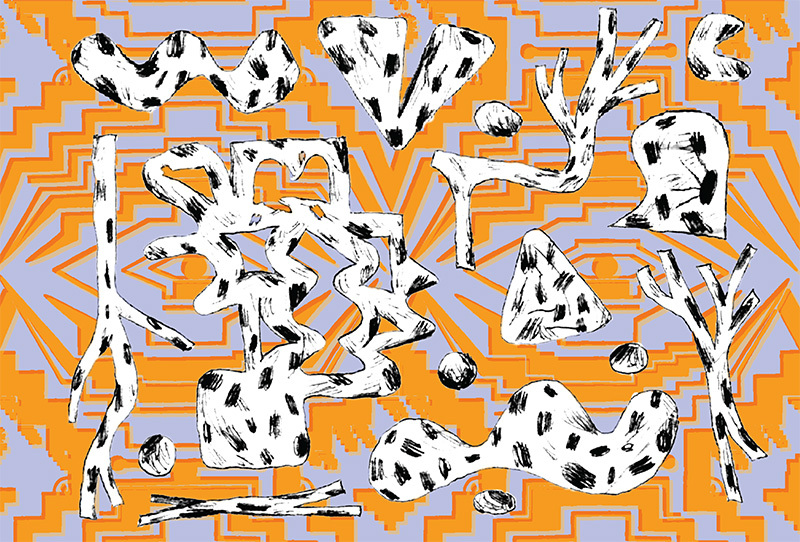 We are also excited to be premiering artist Emi Honda’s newest video/music endeavor under the performance alias Elfin Saddle , premiering concurrently at the MUSÉE D’ART CONTEMPORAIN DE MONTRÉAL. Emi Honda is a Japanese-born artist who has lived in Canada for over a decade. Her delicate and intricate work utilizes materials scavenged from the excesses of daily life. Dusty fake flowers, broken toys, pieces of luxurious fur coats and electrical parts from old VCRs… These once beloved possessions end up in her collection through friend’s hands, thrift shops, or found in the streets and back alleys of Montreal. Carefully chosen materials and calculated compositions bring a gentle order to her work, yet an underlying darkness trickles through even her most whimsical works; a fungus that eats away at its edges. Honda is a member of Montreal-based band Elfin Saddle currently on Constellation Records (they will be touring the northeastern United States this May). Emi has recently expanded her practice to include video/film creation with a new film WURLD, a collaboration with bandmate Jordan McKenzie. For more information, visit www.elfinsaddle.com. 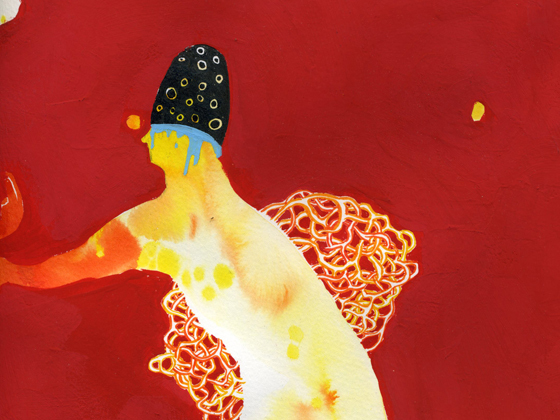 Leyla Majeri is a musician and visual artist, living in Montreal. Under the pseudonym Alphonse Raymond, she has done several small books, zines and newspapers. With silkscreening as her prefered technique, her work explores different methods in order to manipulate colours and geometry inside a world where which games and amusement are used to make imagination triumph. 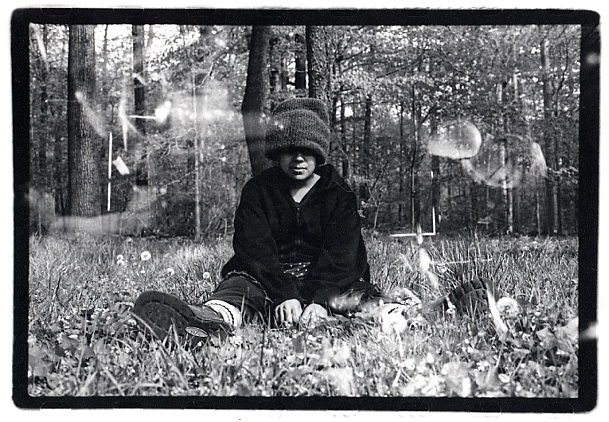 Her drawings, sculptures and performances have been noticed by the experimental art and music scene. Her work has been shown by the galleries Little Cakes and Hanna, as well as by the publishing houses Buenaventura Press and Le Dernier Cri (France). She is currently watching the last episodes of Inuyasha. Nadia Moss was born in Ontario Canada. She currently lives and works in Montreal. She’s participated in numerous zine and small press fairs and has exhibited her work and given talks in commercial galleries and artist run centers across Canada. Her drawings have been featured in Canadian magazines such as The Walrus, Maissonneuve. She has also recently had a drawing accepted for publication in Harpers Magazine. She’s been awarded a grant from BravoFACT, to make a short puppet film which has been shown internationally as well as broadcast in Canada. In October 2009 she did a residency at the Banff Center for the Arts. She’s also done album artwork and posters for many bands in Montreal. 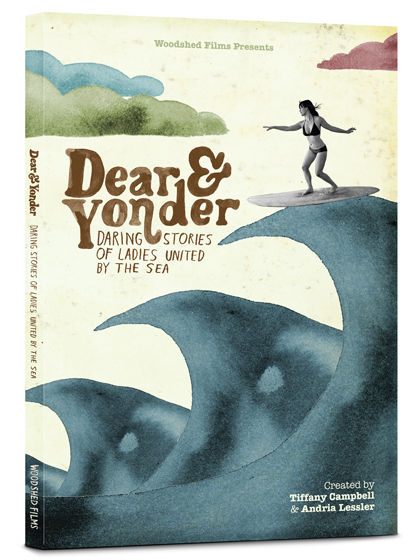 Created by Tiffany Campbell and Andria Lessler Dear & Yonder features a diverse cast of ladies united by their love of the sea. Their dynamic skills and personalities shine as the film follows them around the world to just around the corner. Top professionals Stephanie Gilmore, Sally Fitzgibbons, Silvana Lima, Coco Ho, Lee-Ann Curren and Sofia Mulanovich travel to Indonesia where they navigate its green caves and aqua faces with ferocity and grace. Back on the mainland Kassia Meador, Ashley Davis and Prue Jefferies get lost in the possibilities of a diverse quiver, from logs to quads, at a perfect point in Mexico. cultivate knowledge of place, a sense of history, and encourage sustainable practices. These themes are explored through the stories and insights of the film’s expert water women. Bodysurfer and geophysicist, Judith Sheridan, utilizes her knowledge of the geological forces that have shaped San Francisco’s dramatic coastline to fearlessly charge the brutal surf of Ocean Beach. Far out to sea, Captain Liz Clark demonstrates her commitment to surfing and the environment by utilizing wind power to sail the world in search of the best waves. In the spirit of craft and innovation, Ashley Lloyd shapes and surfs a board utilizing a vegetable based Biofoam blank and Belinda Baggs sews her own boardshorts from vintage fabrics between sessions at Noosa Heads. Taking a sojourn from surfing, we cross the Arizona border where skateboarders Amy Caron, Lacey Baker, Evelyn Boulliard, and Letica Buffoni shred some concrete against a stunning desert backdrop. These women show how far women’s surfing has come, but in order to find out from where, the film journeys back in time to uncover the rich history of women’s surfing with icons Linda Benson, Rell Sunn, Kim Mearig and Lisa Andersen. This is but a glimpse into the film’s dynamic cast of women who were chosen not only for their skills in the water but also for their positive relations with the natural world, each other and themselves. The authenticity and feeling of each surfer’s experience is captured in the imagery, music and art that reflect the vision of the project and the people involved. Primarily shot on 16mm film by expert cinematographers: Thomas Campbell, Scott Soens, Bali Strickland, Tiffany Campbell, John Smart and Dave Homcy. The imagery is further enhanced by music selections mined from the vast world of sound. Including original compositions by accomplished violinist Jennifer Curtis, underground band of surfers The Rustangs, and local musicians from the Tuamotus Islands. Independent music provided by Vetiver, Black Mountain, The Magnetic Fields, Tim Cohen, Calexico, and Tussle. Josh and Jason Diamond, editors of well known surf movies: Seedling, Sprout, Thread, and most recently The Present, apply their skills in the editing suite, and artists Jeff Canham, Nat Russell and Lori d. lend their talents throughout the project. Tiffany and Andria tie these carefully crafted pieces together in a rare and genuine story about our human bond with the sea told from the female perspective. Our hope is for the depth and beauty of the film to traverse perceived boundaries and for each viewer to take a meaningful piece with them that will percolate positively back into our communities and lineups. Dear and Yonder is our way of giving something back to the thing we love. the first place, and shared values and vision that kept their paths aligned in the years that followed. They supported each other in various ways as they embarked on their individual projects, including Tiffany’s production of a seminal women’s skateboarding film, and writing of a book on animal tracking and Andria’s development of an ever more sustainably run bakery cooperative and organization of various community arts, music and film events. These roots in skateboarding, music, film and conscious participation with the planet are shared with Dear and Yonder’s primary cinematographer, veteran filmmaker, Thomas Campbell. The common cultural history and mutual respect of the production team creates a solid foundation from which they challenge each other to create a film that surpasses a singular imagination. A forever-favorite! Ex-Moldy Peaches whose music comprises most of the soundtrack to JUNO. Feel good and feel good about feeling bad. You are not alone. “This acoustic D.I.Y. troubador writes queer cupcake loving honesty pop and focuses on the details that rhyme.” You are in your room at 15. you realize it will all be ok.
Clyde rules the school with Karl Blau and Steve Moore. Melodic dreams will float around you like a hammock made out of a hug of cookies.